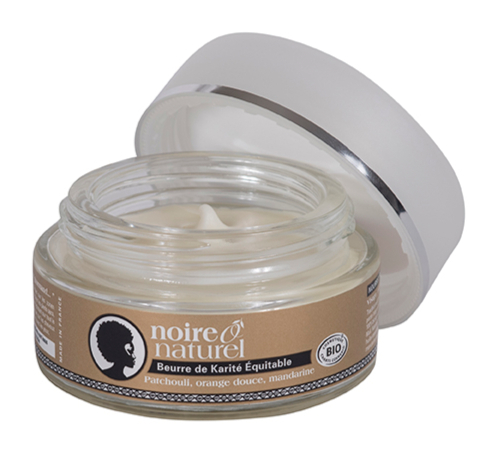 The 100% natural Noire Ô Naturel Hair Oil Synergies is a mixture of 13 precious vegetal oils, for healthier, stronger Afro hair. A complete “3 in 1” hair strengthening oil serum, that gently takes care of the entire length of the hair, (ends to scalp). Nominated n° 1 hair oil* by l'Observatoire des Cosmétiques, in 2013 and 2015. * among 52 evaluated hair oils! “3 in 1”: a complete strengthen & grow hair serum, thanks to the beneficial properties of its precious mixture of organic vegetal oils (castor oil, avocado, jojoba, olive…) interacting in synergy, detoxifying the scalp, (stimulated through massages), use as a bath oil once a month or as a leave-in serum applied along the length of the hair and on the hair ends! Properly hydrated and nourished, the hair will get its shine back, you will realize how your hair gets healthier, softer, longer and stronger! 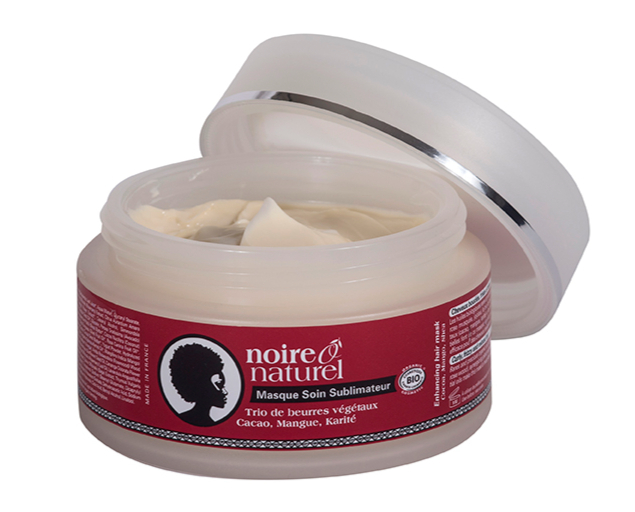 This non-sticky hair serum highlights African oils (mongongo, shea butter), traditionally used in the African pharmacopeia, that interact in synergy with essential oils (sandalwood, ylang ylang, rosewood) in order to revitalize, strengthen and repair the hair fibre. Observed use timespan: between 3 to 6 months, depending on hair length! Organic sunflower oil, organic castor oil, organic musk rose (wild rose) oil, organic sesame oil, organic jojoba oil, organic avocado oil, organic olive oil, organic argan oil, organic shea butter, mongongo oil, ylang ylang essential oil, rosewood essential oil, sandalwood essential oil,vitamin E.
INCI: Helianthus Annuus (Sunflower) Seed Oil, Ricinus Communis (Castor) Seed Oil*, Rosa Canina Fruit Oil*, Sesamum Indicum (Sesame) Seed Oil*, Simmondsia Chinensis (Jojoba) Seed Oil*, Persea Gratissima (Avocado) Oil*, Olea Europaea (Olive) Fruit Oil*, Argania Spinosa Kernel Oil*, Butyrospermum Parkii (Shea) Oil, Schinziophyton Rautanenii Kernel Oil, Cananga Odorata Flower Oil*, Aniba Rosaeodora (Rosewood) Wood Oil, Santalum Album (Sandalwood) Oil, Tocopherol, Linalool, Benzyl Benzoate, Farnesol, Benzyl Salicylate, Geraniol, Limonene, Eugenol, Isoeugenol. Percentage of organic ingredients: 97%. 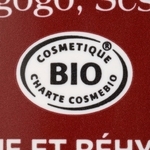 Without paraben, silicone or GMO, without artificial fragrance or color. On curly or frizzy hair: apply the hair oil the day before washing your hair and leave on for at least 30 min. To get the best results: leave on all night. 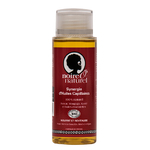 On frizzy, Afro and very dry hair: apply the Hair Oil Synergies on hair while it is still wet, just after the Enhancing Haircare Mask. Massage gently with your fingertips. Leave on for 30 minutes, or preferably all night. Rinse thoroughly. As a daily care: a few drops along the length of the hair or on the hair ends are enough. Avoid eye contact. 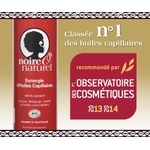 Nominated n° 1 hair oil* by l'Observatoire des Cosmétiques, twice in a row in 2013 and 2015. * among 52 evaluated hair oils! Elue n° 1 des huiles capillaires* par l'Observatoire des Cosmétiques 2 fois consécutives en 2013 et 2015. * sur 52 huiles évaluées !